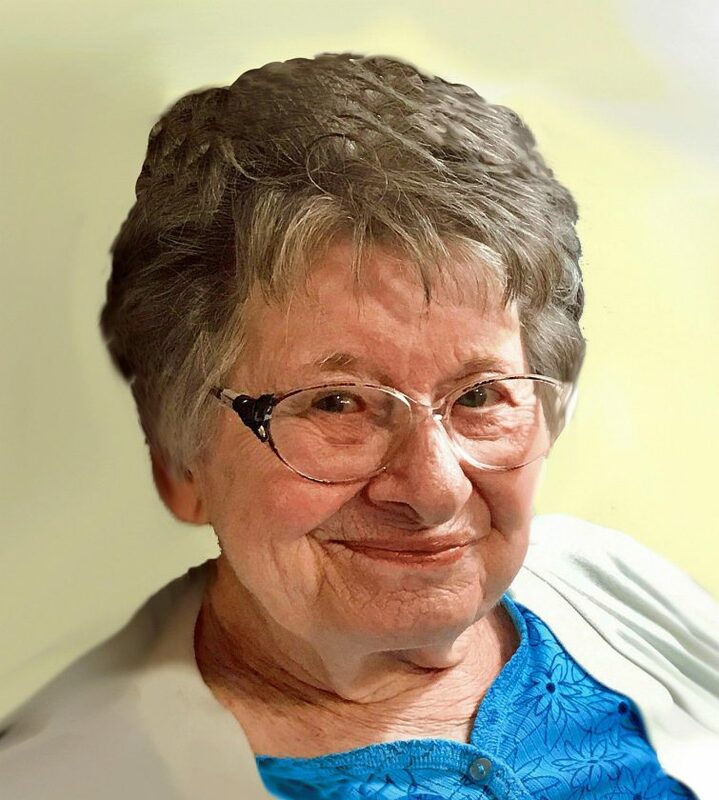 Doris Jeanne Doolittle Templer, 92, of Cedar Rapids, died peacefully surrounded by her family on Wednesday, January 30, 2019 at West Ridge Care Center. Services: 11 a.m., Saturday, February 9, 2019, St. Jude Catholic Church, by Rev. Mark Murphy. Burial: Private inurnment at a later date. Friends may visit with the family on Friday, February 8, 2019 from 3 to 7 p.m. at Teahen Funeral Home, and on Saturday after 10 a.m. at the church. Doris is survived by her children, Shareen (Sherry) Melvin (John Kaylor), Clyde Melvin (Sue Mihal), and Debra Schoneman (Kirk Schatzle) all of Cedar Rapids, Pamela (Doug) Mollenhauer of Pleasant Hill, and Gene Templer of Solon; her grandchildren, Dawn Scranton, Michael (Melissa) Scranton, Matthew (Sarah) Melvin, Scott (Holly) Mihal, Kelly Mihal, Claire Schatzle (Chris Kelleher), Andrew Schoneman, Maggie (Charles) Mollenhauer, Jacob Schoneman, Jerod Mollenhauer, and Lindsey Mollenhauer; her great-grandchildren, Tristan, John, Sidonia, Tanner, Cael, Avari, and Kiera; as well as her nieces and one nephew. Doris was preceded in death by her parents, Clyde and Velma; her husbands, Charles Melvin and Fredric Templer; her sister, Enid (Clifford) Claude; former son-in-law, Nels Scranton; son-in-law George Schoneman; grandson-in-law Tim Long and grandson Heath Mihal. Doris was born on April 12, 1926 in Webster City, the daughter of Clyde and Velma Behrendsen Doolittle. After high school she furthered her education, and was a Western Union Operator in Detroit and New York during WWII, a homemaker, and later worked for Paramount Pharmacy and the Cedar Rapids School System. Doris was married to Charles Melvin, and after his death, was married to Fredric Templer for 62 years. She was a member the Daughters of the American Revolution, Hawk A Model A Ford Club, AACA Car Club, Eagles Club, and St. Jude Catholic Church since 1964. Doris liked to garden, read, bake, knit, crotchet and dance. She enjoyed music, attending car club events, playing games, and spending time with her family and friends. Doris will be missed by all who knew and loved her. The family would like to thank the staff at Memory Care Village, West Ridge Care Center and the Hospice of Mercy for the care they gave Doris.